Liturgiegewänder für den Gottesdienst heute, Dokumentation eines Kolloquiums, Deutsches Liturgisches Institut, Trier 2003, Andreas Poschmann (Editor). 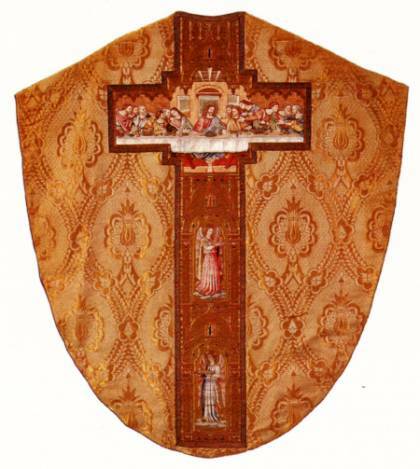 This publication is a report of two colloquiums at Dornbirn 17th October 2002 and Münster 9th November 2002 on vestments for the todays divine service. The colloquium treated the question of creating new dresses for lay priests and also for women in liturgical service. 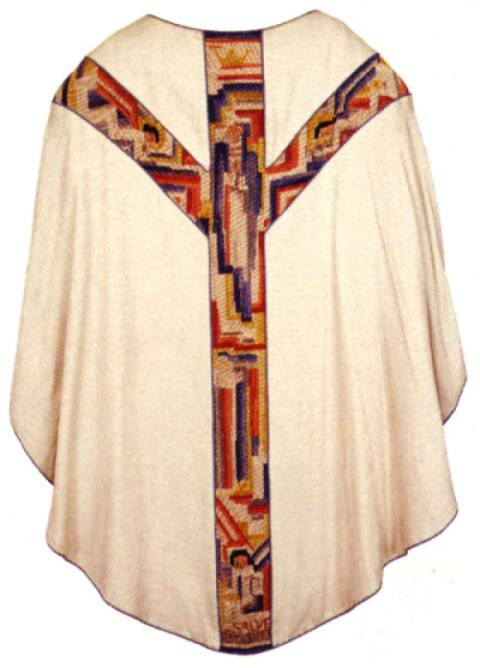 Karen Stolleis is one of the authors and she gives a survey on the development of whole sets of vestments. Her aim was to show, that there always were hierarchical graduations in vestments worn in liturgical service. The author's explanations are based on her earlier publication on vestments. In addition the publication shows some interesting embroidered vestments. 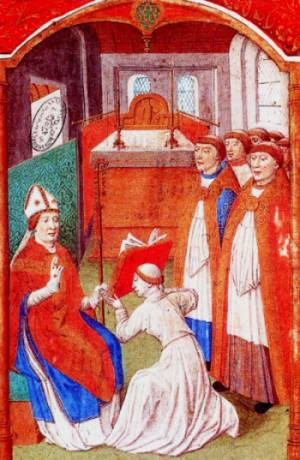 In this survey the author first mentions miniatures and painting where vestments are shown. After the council of Trent 1545-1563 there are more textile exemples preserved. In german collections only few vestments of the 17th c. can be found, there are more of the 18th c.
The author specially follows the development in the 19th and 20th c. A renewal started from the Rhinelands in Germany. Vestment associations were founded in many regions. Their works were stimulated by the journals of christian art. In the 20th c. in general reformatory efforts came from "Jugendstil" and from the art of Beuron. The idea was to subsistute rather low quality industrial products by works of art. detail from miniature, Paris around 1480/90. 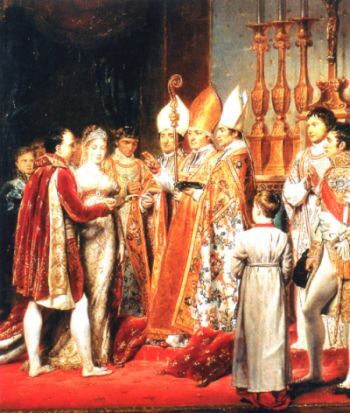 wedding of Naopleon I and Marie Louise. Painted by Georges Rouget, Paris 1810, château de Versailles. In the 1920s and 30s the Rhineland again became important for the textile ecclesiastical art. 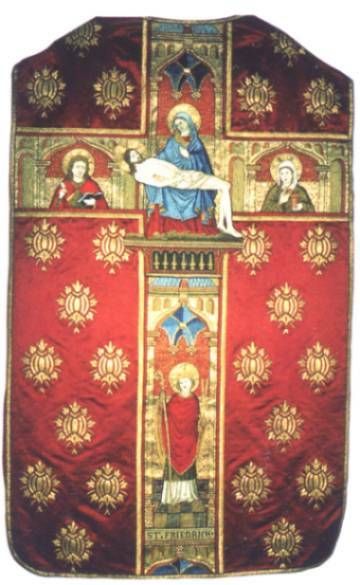 Most art and crafts schools had in their program the formation of vestments. 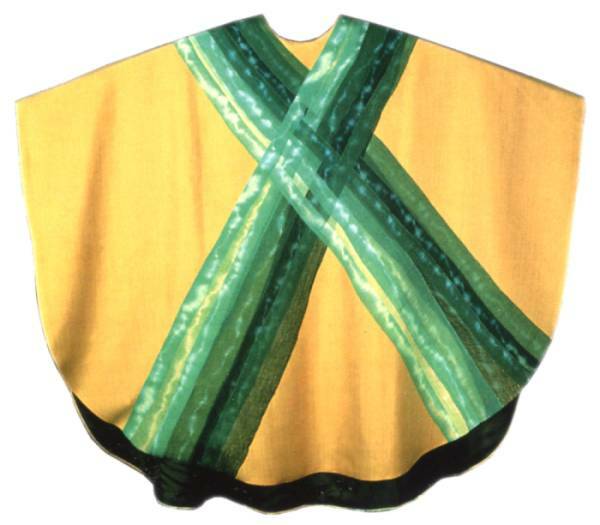 An important change was the return to a very wide shape of the vestments. 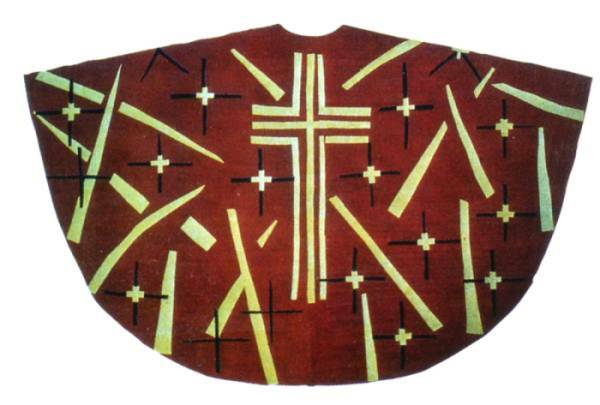 As the priests were now celebrating in the center of the community the vestment's back and frontside very often were made in an identical manner.. The dignity of liturgical dress was expressed rather by the width and by the use of precious fabrics than by figural representations. 1950/52. Vence/South of France, Chapelle du Roisaire.